Each company, may it be small or big, reaches a point when extra hands are more than needed. So was our case at DGdesign. In full expansion and with a million ideas of how to get about doing them, excitement in full mode and many new projects, there came Oles and later on Oleg. And what a wonderful surprise they were, full of fresh ideas, constant jokes and a visible interest for making a difference. Yes, you saw well, Oles and Oleg. The O team as we call it so we avoid misspelling their names over and over again. We owe them many coffees for all the times we swapped Oles for Oleg and the other way around. Perhaps this is the source of their continuous energy! We could only present them here as a team, as they complement each other so well. 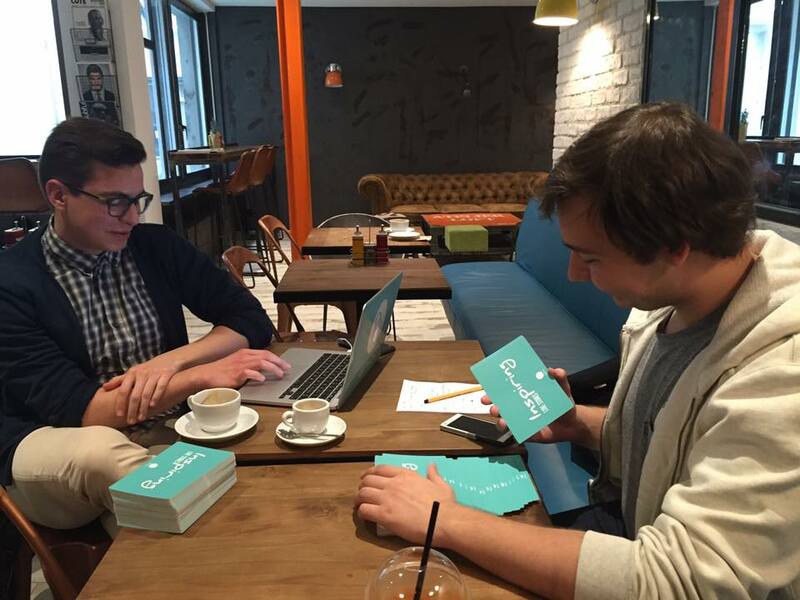 Oles and Oleg are in charge of marketing and social media projects. We have met them both over a coffee and our meetings lasted well over the scheduled time. There is just so much to share and discuss with these two young students enjoying their last weeks of university life. Or maybe we just like feeling younger around them? Oles has Ukrainian roots and Swiss nationality, having lived here for most of his life. Excellent with words, full of ideas, shows great passion for design, innovation and communication. He has already taken over various projects and manages accounts to perfection. He can juggle many projects very well and he is all ours! Hooray! A fashion forward genius with his happy socks, wooden bow tie and fancy hair cuts, “hipsters” us all up. Oleg, has Russian roots and is a Swiss national, having lived and studied here for most of his life. He is the photographer of the team and dethroned Dan from his role. He is also the only Mac opponent around us. Why Oleg, why?? Computer aficionado, photography and design super-capabilities and a most efficient social media collaborator, Oleg has generated wonderful content and glues the team together. They love being challenged and are always ready to improve their skills and learn more. Whatever their secret may be, the two became a wonderful and necessary addition to the team. Team members that we can always count on, ready for any quick turnaround without sacrificing on quality and spicing up all outcomes with innovative ideas. We could not be prouder to have them in our team and we promise your coffee cards will get filled up again!